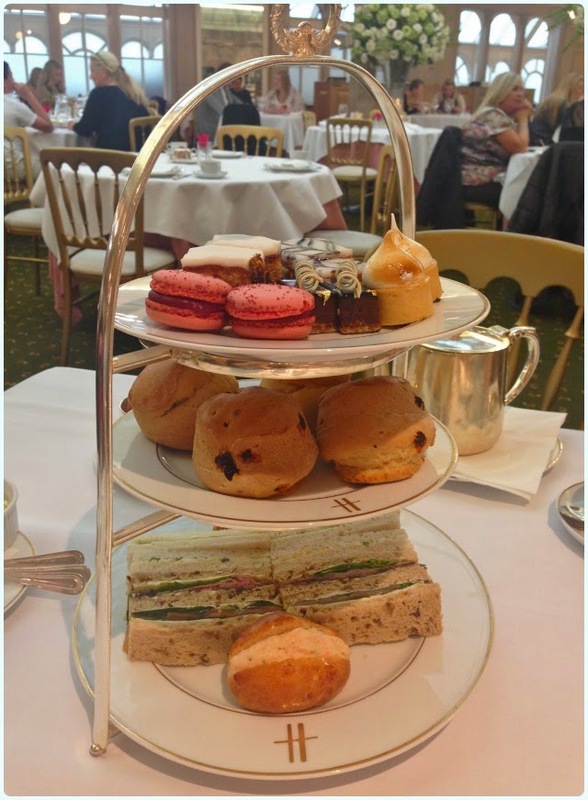 A few weeks ago, I was asked to go and review afternoon tea at Harrods. We didn't actually have a trip to London planned, but decided on a whim to pop down over my birthday and check out what was on offer at the iconic London store. Afternoon Tea is taken in the Georgian Restaurant, which is on the fourth floor. We managed to locate it without too much trouble (that place is seriously like some sort of Labyrinth - without talking worms), and we were seated promptly despite the fact we were ridiculously early. Everyone around us seemed to be having exactly the same thing, which felt a little odd in all honesty. Service is efficient and prompt, but lacked the warmth we have enjoyed at similar places - formality does not need to mean spiritless service. We have been to restaurants with three Michelin stars where the charm of the Maitre d' is as memorable as the dishes we ate. We picked our teas; an Afternoon Special and Assam Gold Rush, as a platter of preserves was delivered. There was a thick strawberry jam, rose petal jelly and thick clotted cream. Within a few minutes our triple tiered afternoon tea arrived. Although this looked magnificent, we were given very little explanation of what it included. It did look fairly self explanatory, but it's always nice to be told. 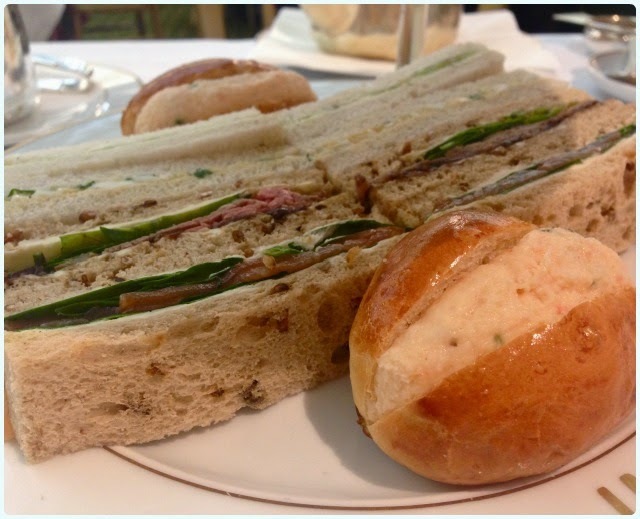 The finger sandwiches included roast beef with sweet onion relish, cream cheese and cucumber, egg and cress, smoked salmon and a prawn and lobster brioche roll. Between us, there were a few of these that we weren't keen on, but that was just personal preference. We both liked how Betty's in York give you a small sandwich menu to choose from, therefore solving the problem. The flavours that we did like were lovely, and perfectly sized. 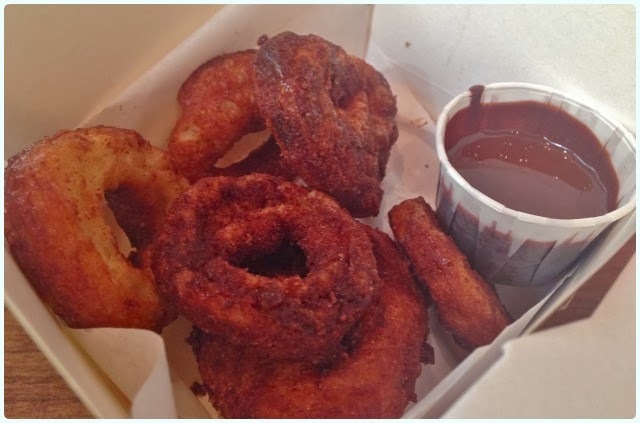 The beef and onion ones were delicious. 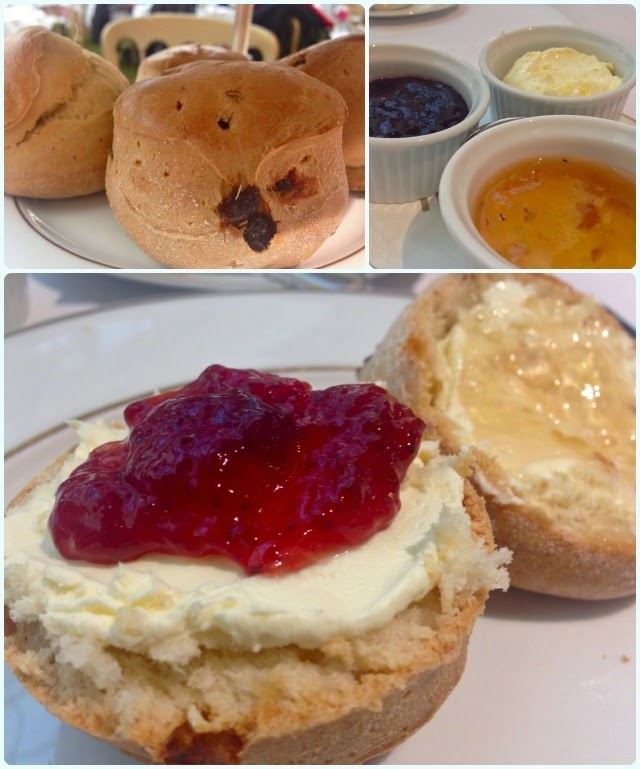 The platter came with both plain and fruited scones, both of which were still warm from the oven. They were by far the best part of the show. The rose jelly was a pleasant alternative to standard strawberry jam, but it was nice to have the choice of both. The cake layer included a lemon meringue tart, raspberry macaron, iced fruit cake, chocolate hazelnut delice and a mille-feuille Napoleon. They may have been small, but boy did they pack a punch! All were beautifully finished and topped the afternoon tea stand off magnificently. I think my favourite had to be the mini lemon meringue tarts. Disclaimer: I was given a voucher to cover the cost of afternoon tea by Buy a Gift. I was under no obligation to write a review or tell porkie pies of any sort. This is my honest opinion. 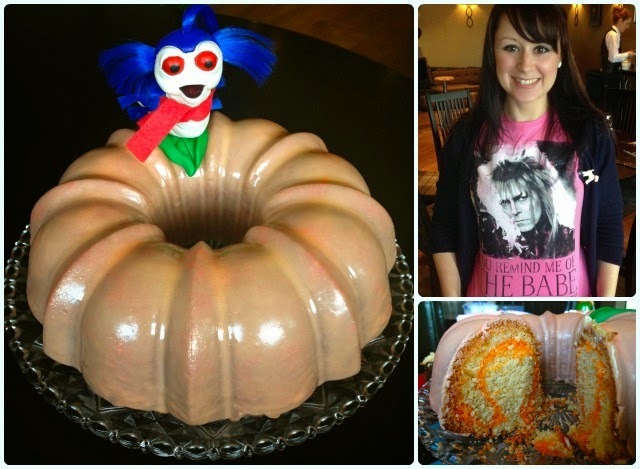 Ok, so you don't have to be a fan of the film to make this cake, you may just like peaches. Yes, I also now have that song in my head. Not sure what I'm banging on about? Click the link. It's my pleasure. Pour the yoghurt and peach cordial into a jug. Put about 6 tbsp of the batter into a bowl, and dye orange. Pour half of the plain batter into the prepared tin. Spoon in the orange layer. Cover with the rest of your plain batter. When the cake is fully cooled, mix the icing sugar with 3 tbsp of peach cordial and enough water to make a runny icing. 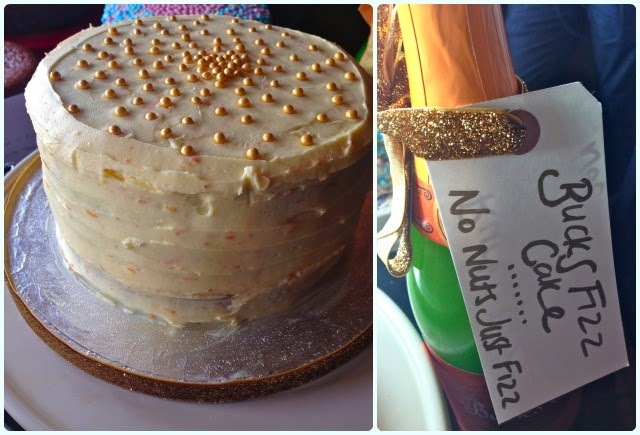 Tip the lot over your cake - it will trickle down the sides to cover the whole thing. Now I've got you all singing that absolutely storming tune, I'll tell you all about today's cake club! After two years of different themes, it can get pretty tricky trying to think of new ones that aren't too hard to bake for. 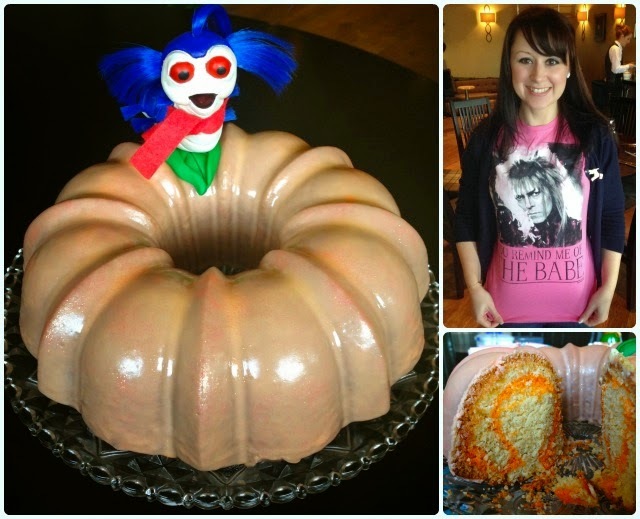 I'm all for people ultimately being able to bake whatever they like, but our varied themes also allow for a bit of creativity. Despite having a 'down with the kids' image (oi, mouth...) I am a little partial to a bit of cheesy pop music - The Land of Make Believe by Bucks Fizz being one of my all time faves. 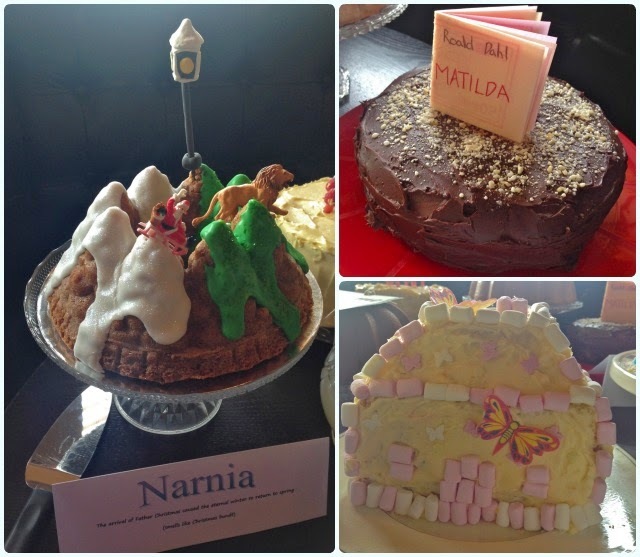 As I hummed it in the shower whilst washing my hair, it came to me... what a brilliant cake club theme! I asked our members to remember the magic from their childhood. It could be a song, story, film, anything from that time when your imagination was the only game you needed. 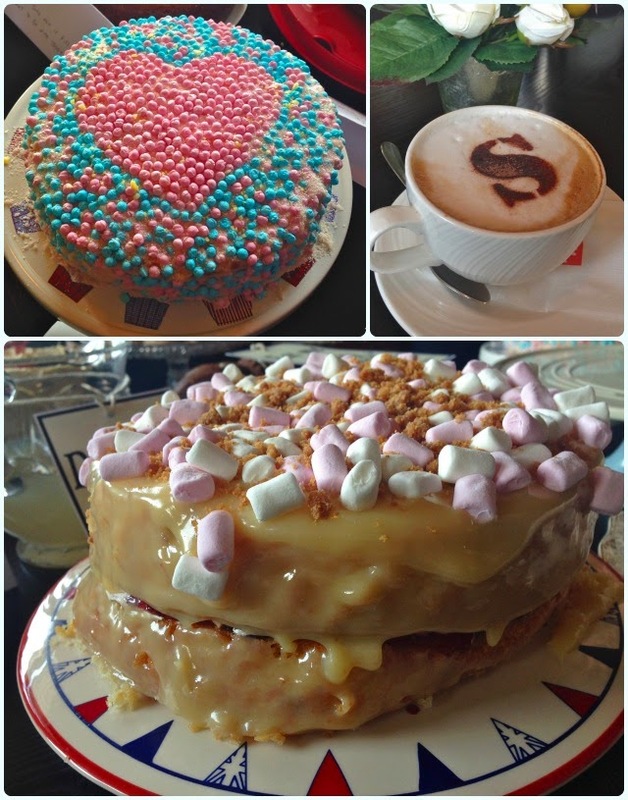 Last March we were due to go to Suzanna's in Blackrod, but we got snowed off! It felt only right to have another bash this year. Once again, Suzanna and her team welcomed us with open arms. We drank so much tea that at one point we were using every teapot in the house! If this looks like something you fancy, why not join us? 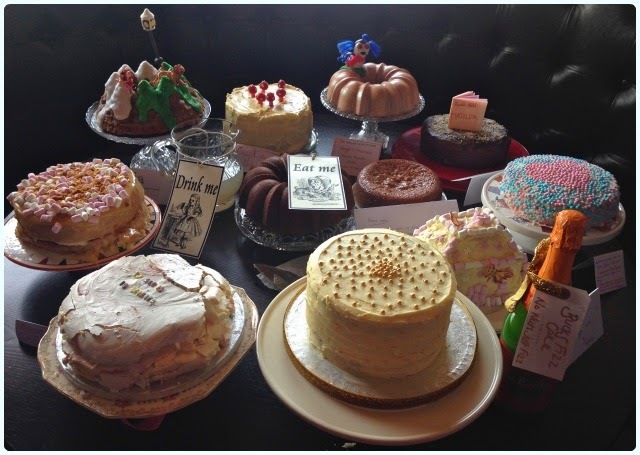 It's not a competition, and the main aim of us meeting is to eat cake and have a natter. Whatever excuse you have in the back of your head, forget it. There are new people joining us every month, and you'll never be left alone - quite the opposite in fact! 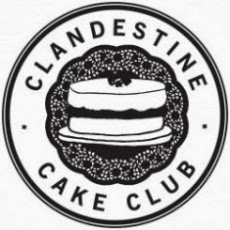 If you're interested in finding out more, pop on over the the Clandestine Cake Club website. We'll also be at the Manchester Cake and Bake Show to answer your questions from Friday 4th to Sunday 6th April. I have a list. 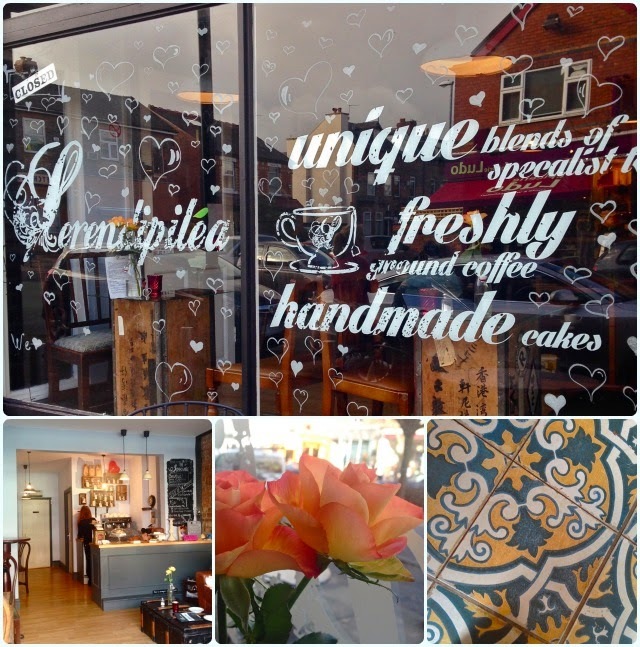 Serendipitea in Chorlton has been on said list for a some time. It's not a place I venture to often, but a couple of weeks ago I found myself alone on Beech Road. No, I hadn't come over all 'Wizard of Oz', but I did have a couple of hours to kill. It was my blogging pal Bacon on the Beech who first recommended Serendipitea after stumbling across it whilst shopping on Beech Road. Just as its name suggests, I imagine most people accidentally find this pretty little place whilst perusing the other shops. There's no shortage of places to stop for a cuppa along this road, but Serendipitea feels a little different. Inside is a mixture of modern and pretty vintage finds. The now quintessential mismatched china is right at home with the fresh roses, upturned crate tables and the quirky floor tiles. It only opens at 11am on Sundays, but if you find yourself a little early, nip into to Epicerie Ludo across the road for fresh bread, pork pies and some rather pungent cheese. I had hoped to try some of their fresh baked scones but I must have been a bit early. They are baked daily and the lady who was serving was also making these later in the morning. Damn it. 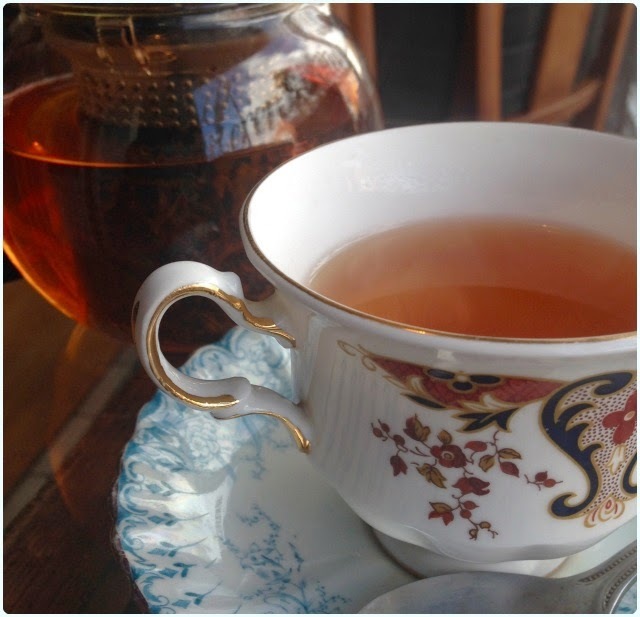 I settled for a Beech Road Afternoon Tea, which is a blend of precious first flush darjeeling and black Kenyan teas. I love strong tea so this was just perfect: just enough clout without being bitter. 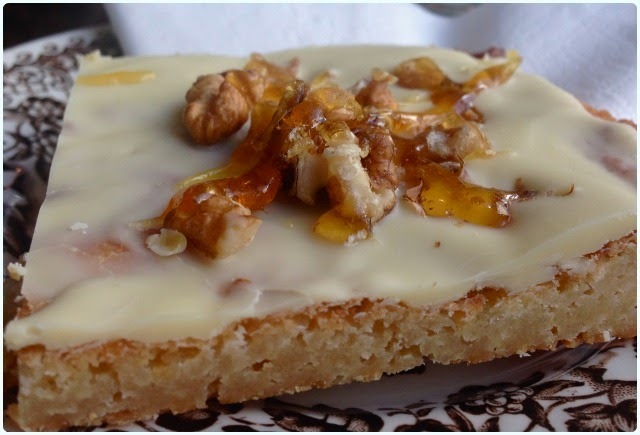 Since scones weren't an option, I plumped for a caramel and walnut blondie. Yes, this looks rather unassuming, however this little slice had the fortitude of a three course dinner. I think I managed just over half! The depth of this was bob on - any thicker and I am sure it would finish off most rugby players. 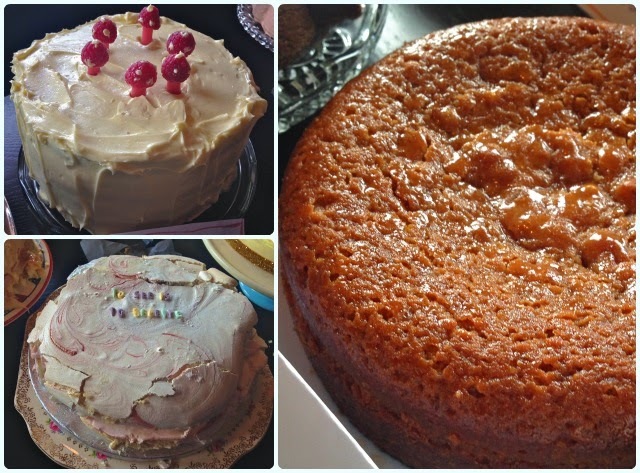 There wasn't a huge amount of cakes to choose from, but it was a Sunday when I went. Others included a large slab of Dime Bar cake (remember the armadillo advert? No? Just me then) and rocky road. I'd say Serendipitea is the kind of place to go if you're looking for a mid-shop pit stop rather than a 'lunch and a slice of cake' kind of gaff. 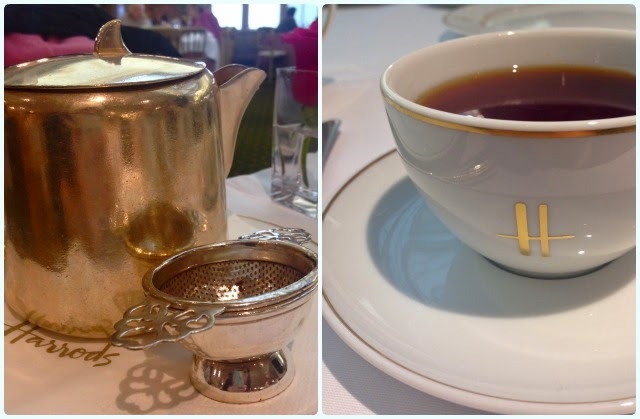 They don't have a food menu per se, but I did notice that they have started doing afternoon tea now. I think I visited on a day where there wasn't as much choice, as when I headed over to their Facebook page (their website isn't up and running yet), I saw a much better selection. 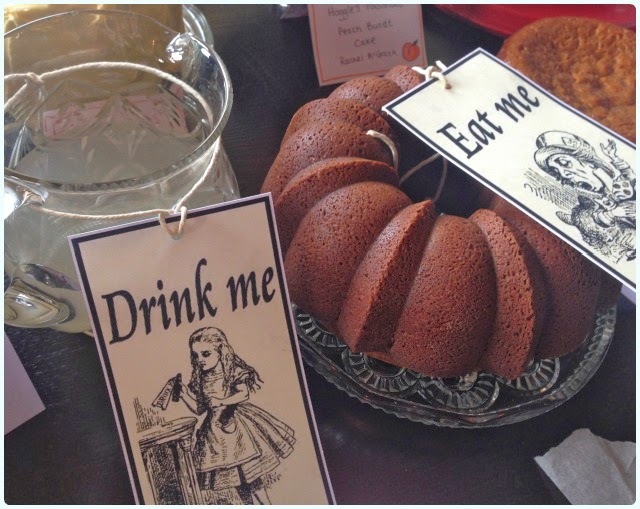 If you enjoy a nice cup of tea, a slice of cake and an hour or so people watching, you'll love it. 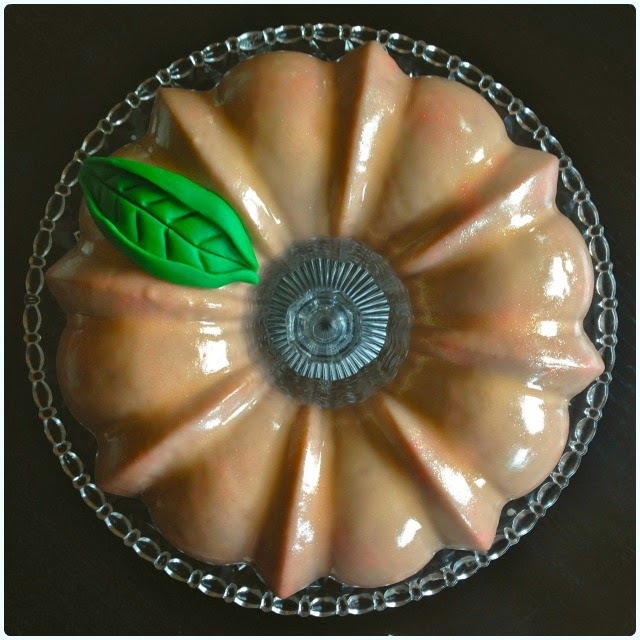 March's Calendar Cakes Challenge - Spring into Action! I love spring time. Bulbs popping up and birds singing remind me that the dark mornings and chilly evenings are almost behind us for another year. At this time of year I'm craving fruity bakes with zesty flavours, bright colours and pretty florals. Bye bye fleece, hello frocks! 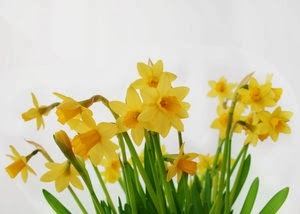 This month I want to see your springtime inspired bakes. This could range from decoration to what ever makes you feel a little more energised. 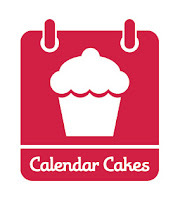 Add 'Calendar Cakes Challenge' as a label on your post. When we were about 18, my husband and I used to go to the Yew Tree Inn for a bit of a treat. No, I wasn't a child bride, we got wed several years later... It always felt very extravagant, especially on our measly student wages. We loved to push the boat out and have our favourites; fillet steak with red wine jus and stilton, and the same cut with peppercorn sauce. They had the whole package of candle-lit tables, good food, decent beer and crackling fires. The Yew Tree may even be credited to us opening our minds to new foods. We once went on Valentine's Day and had their set tasting menu. Neither of us had the balls to tell the waiter that we didn't like parts of the menu, so we just tried it all - and loved every mouthful. We never fell out with our friends at the top of Dill Hall Brow; we just discovered a whole new world of dining elsewhere. 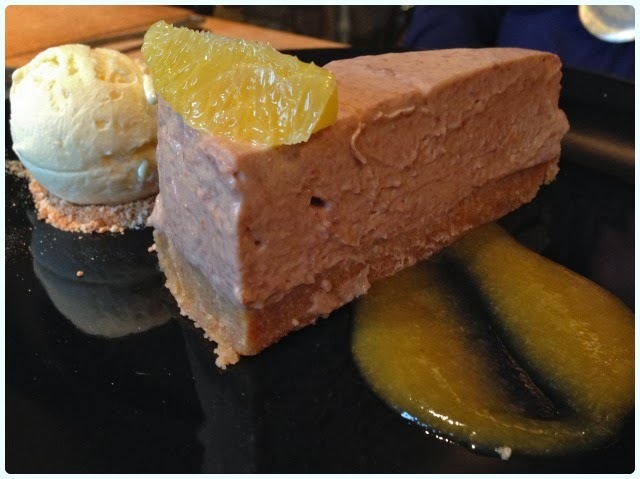 In 2010, proprietors Cath and Paul Taylor moved on to the Cherry Tree in Blackrod, which is a slightly more laid back affair. This is the first time we have been back since the new owners took over. First impressions were good. The dusty, flattened wine bottles have gone, and the pub area has been treated to new upholstery which is sympathetic to the building's nineteenth century heritage. The restaurant too has been lovingly restored, and feels modern with a country cottage edge. 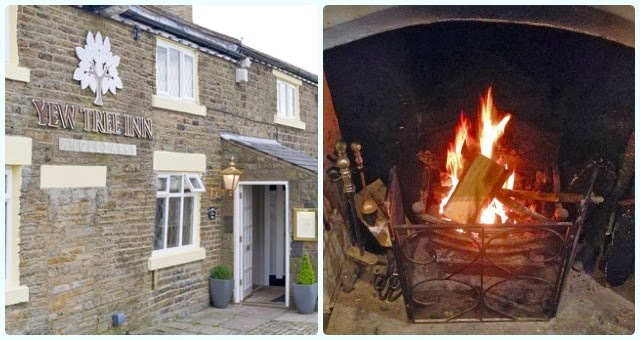 We visited on a chilly Sunday to celebrate a family birthday, and were welcomed by cheery staff and roaring fires. 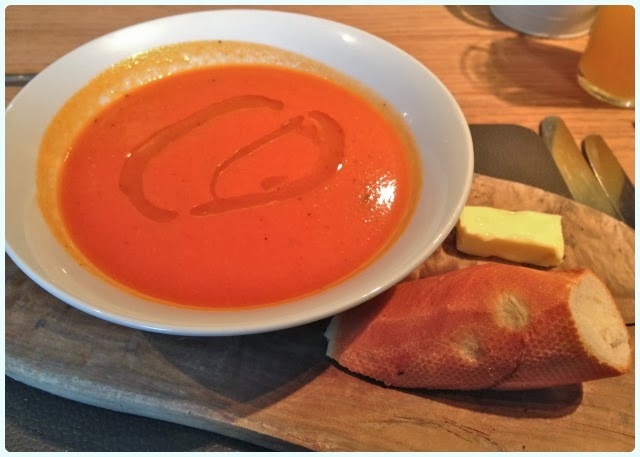 Roasted red pepper soup: A generous portion served with warm crusty bread. Well seasoned with a peppery kick. 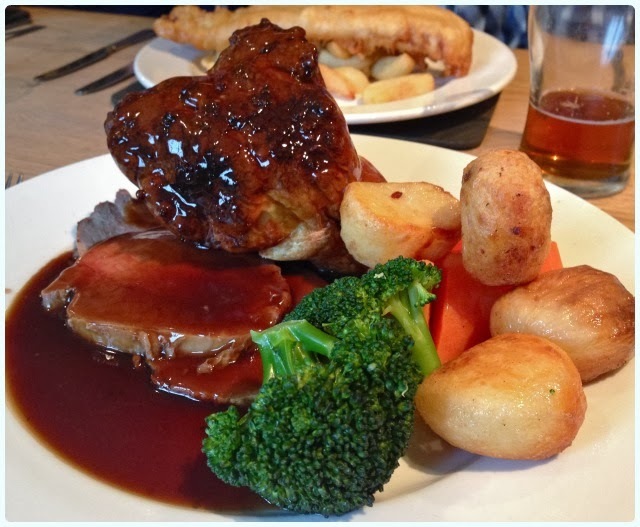 Sunday roast - beef: Thick sliced beef, decent roasties and a whopper of a Yorkshire pud. My only criticism was that the vegetables were a little under-seasoned, which was soon rectified with table salt. 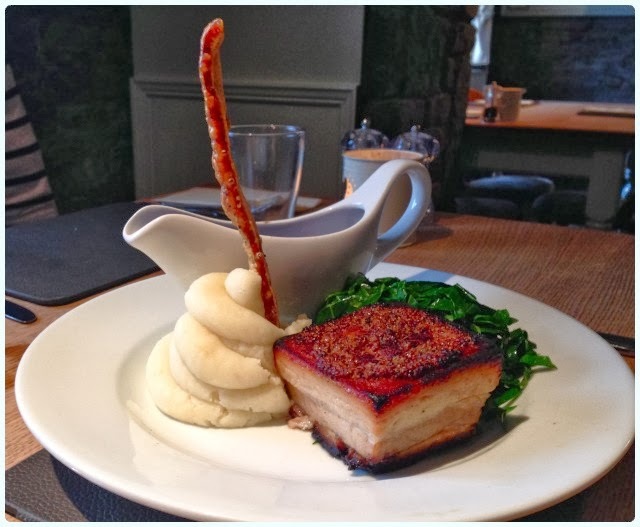 Pork belly served with sweet apple mashed potato, cider gravy and sauteed cabbage: Cleanly presented with a nice little baton of crackling. The recipient of this dish noted plenty of meat without too much fat. 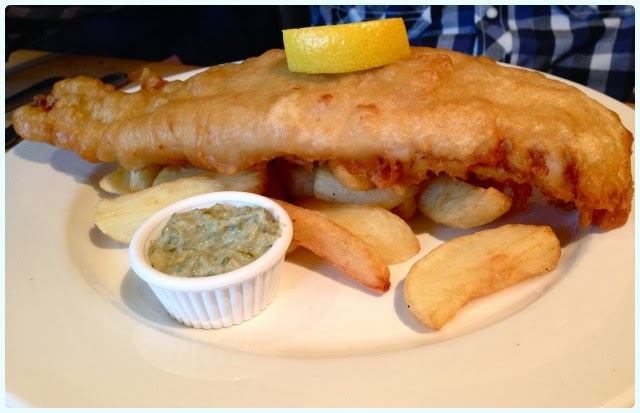 Fish and chips: A popular choice amongst the group. Home cooked chips with a large battered piece of haddock. Job done. 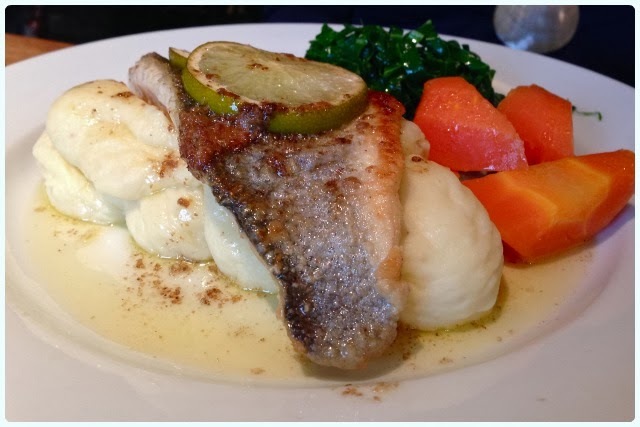 Fillet of cod served with chorizo and buttered cabbage, mashed potato and lemon butter sauce: A slightly lighter option than the fish and chips, but still very filling. 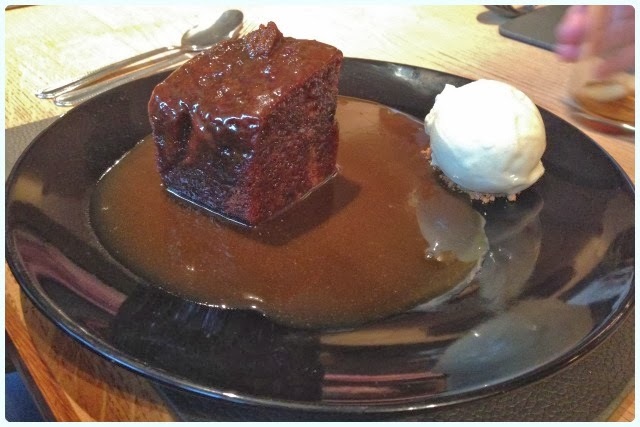 Sticky toffee pudding: A decent wedge of pudding served with ice cream and butterscotch sauce. Surprisingly light too. 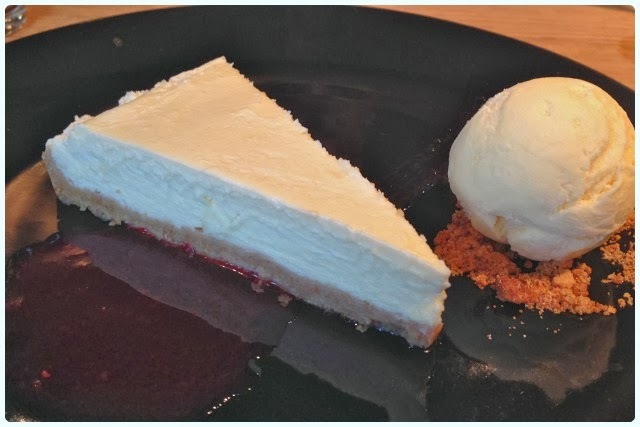 White chocolate and raspberry cheesecake with vanilla ice cream: The only thing that would have made this better would have been the addition of fresh raspberries on top. Otherwise, perfect. Chocolate orange cheesecake: Home made once again, this was described as the essence of Terry's. Again, very light in texture. The food is very different to the Yew Tree of old, although I'm sure I spied one of the original chefs through the open kitchen. The lady who served us was friendly, and stopped for a little chat regularly throughout the meal to ensure we were all having a good time - without being intrusive. 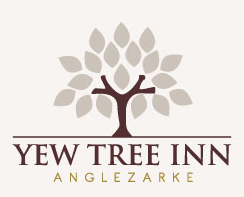 If you enjoy country walks or eating outside whilst overlooking beautiful scenery, you'll love the Yew Tree. It's in an absolutely idyllic location which boasts views over the beautiful Rivington countryside. We went on a bit of a damp February afternoon, and the log fires were just as appealing as the al fresco space is in summer. I'm sure we'll be back. I love to visit London. The restaurants, the tea shops, the vast amounts of cake on every corner... It's a food lover's paradise. I have a list of places I want to try, and generally cram so many of them into one trip that we leave wondering whether that pain in our feet is fatigue or gout...? 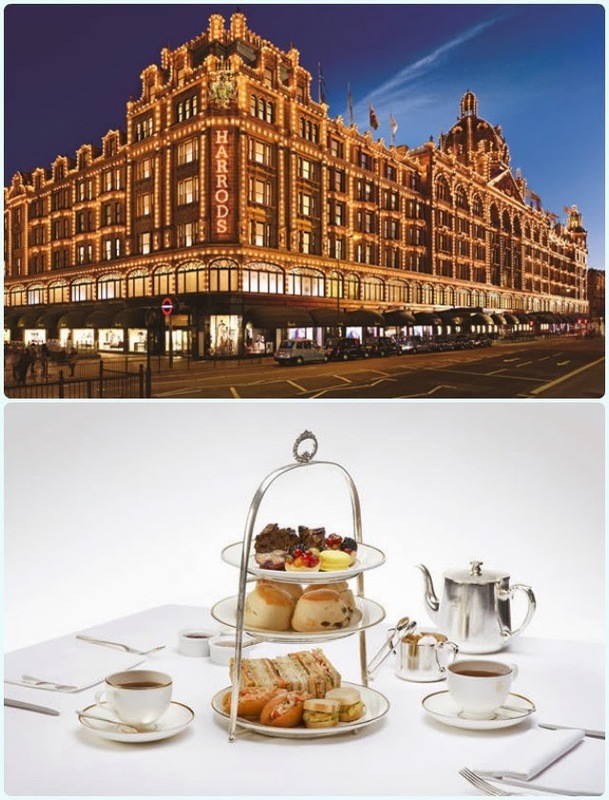 One of the experiences on 'the list' is afternoon tea at Harrods. It's an institution. I always manage to squeeze in a quick trip, which generally involves dragging my husband round the food hall then landing in Ladurée. 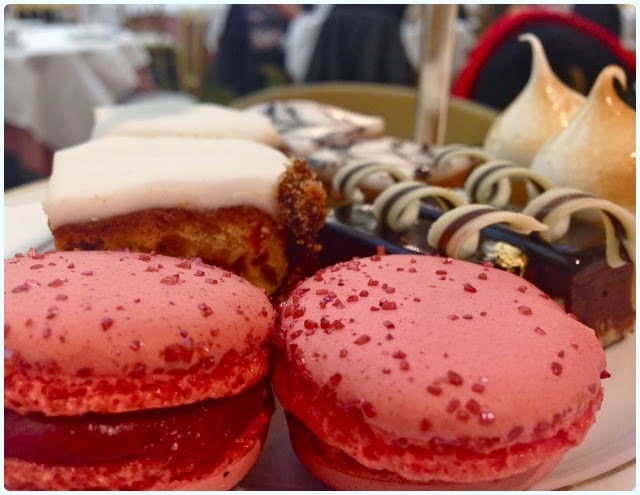 This rather elegant tea for two includes finger sandwiches, scones and clotted cream and sweet English fancies from the Harrods patisserie, all complemented by an extensive menu of unlimited fine world teas and a whole world of class. Rafflecopter will pick two random winners. The competition runs until midnight on 31st March 2014. Last night my husband went to a beer festival, so I was home alone with the cat. After four back to back episodes of Modern Family, I was well and truly bored. I found myself planning today's little trip to Manchester, but fancied somewhere new for lunch. 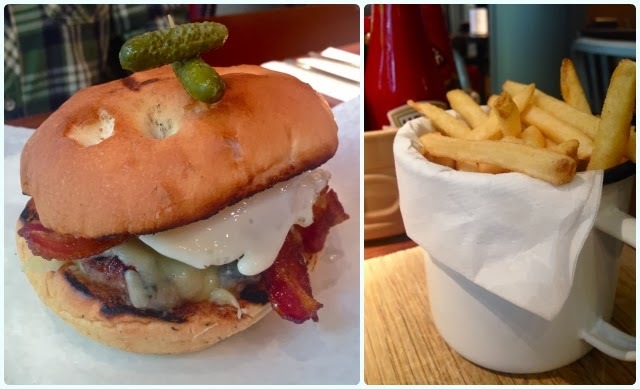 The Manchester dining scene is exploding at the moment, so there are always new places to try and updated menus to sample. Then I stumbled upon Kitchenette. Kitchenette has spawned from the Mud Crab chain responsible for Mud Crab at the Grinch over the other side of town, and the Felicini's chain. Owners Neil Lawrence and Ged Lynch have kicked Manchester Felicini's to the kerb, and opened the slinky new Kitchenette in its place. The food is a wonderful hybrid of American-Asian delights, specialising in steamed hirata buns. 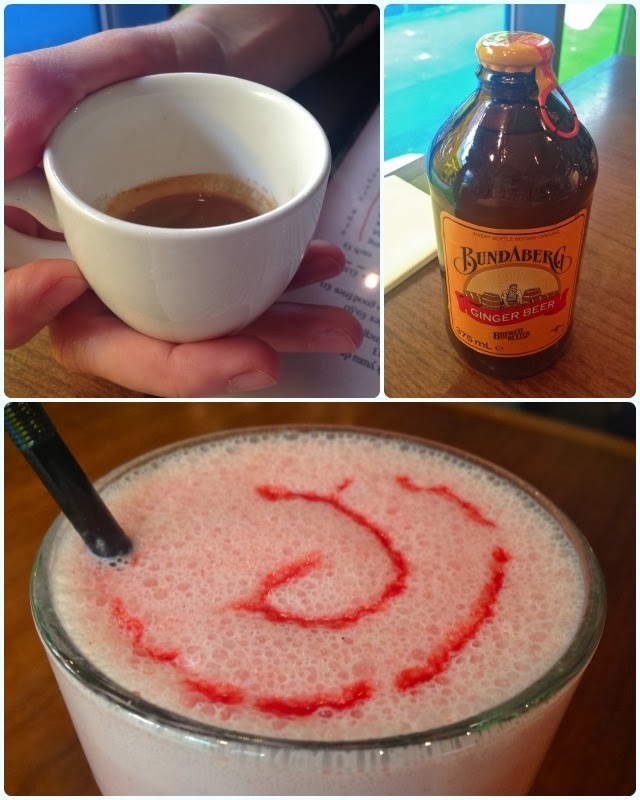 It sits about a minute's walk from Oxford Road train station, so is really easy to get to as well. First impressions were good. Outside is a little quirky, but inside is a smooth operation. 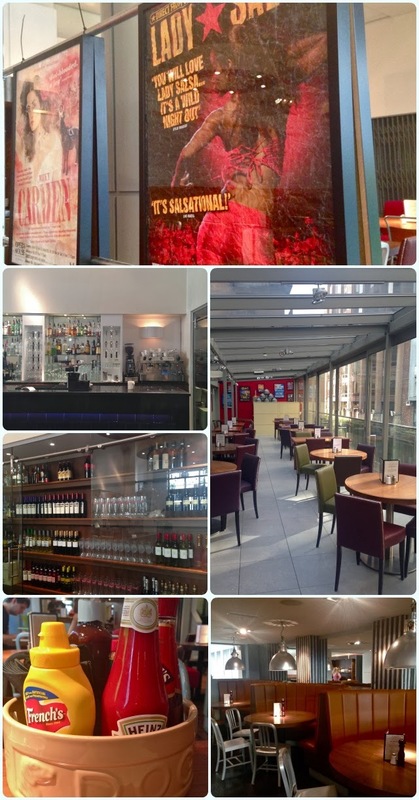 The first level houses a small seating area which overlooks the busy Oxford Street, then some swirling metal stairs lead down to the main bar area. This is an elegant space with a large wine and spirit collection. The staff were attentive, and all to eager to welcome us in from the cold. Then follows a more intimate dining space with brown leather booths and soft lighting. Beyond that is the main dining room, which is a mish-mash of table sizes, all with a decent view over the Bridgewater Canal. Right at the end of the restaurant is a glasshouse style construction. Apparently the walls can open up in the summer for a more al fresco feel. My poor husband was horrifically hung over, so I wasn't sure he would be up to the challenge of sampling the menu, but a shot of espresso later and he was on his way to feeling human again. He looked a little green whilst I sipped on ginger beer... I had originally ordered a strawberry milkshake, but I was a little disappointed with it. It was like flavoured milk rather than the thick, ice cream based shakes I'm used to. 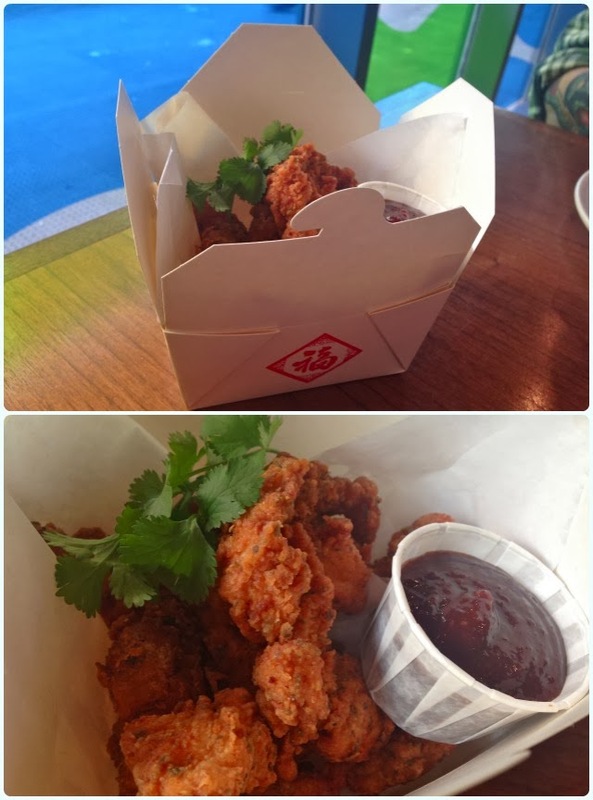 Fried Chicken - hot cajun spices and house BBQ sauce: These tasted sensational! The milkshake misdemeanour was forgiven in seconds. They were spicy with a decent crunch, without a hint of dryness. 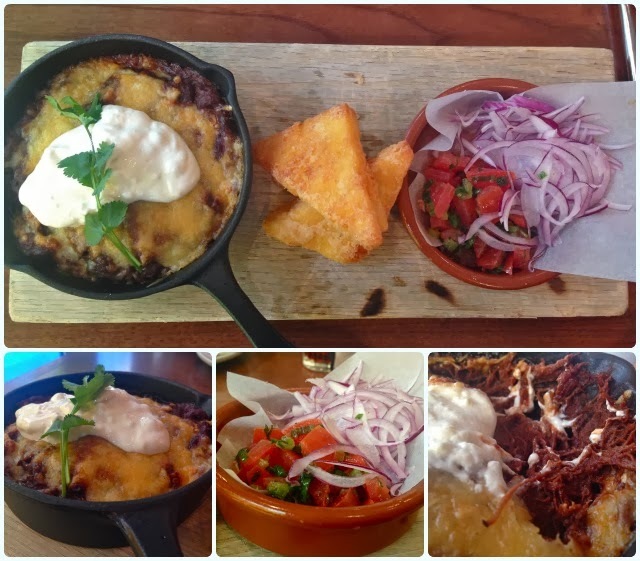 Beef brisket chilli with cornbread, grilled cheese crust, sour cream and tomato salsa: There is enough chilli here to feed at least two people. It's all meat! I would have preferred the cornbread to be of the fluffy cake-like variety, but only because the main itself is very filling. Thank heavens for the refreshing tomato salsa! I was furious with myself for leaving any of this because it was absolutely delirious. 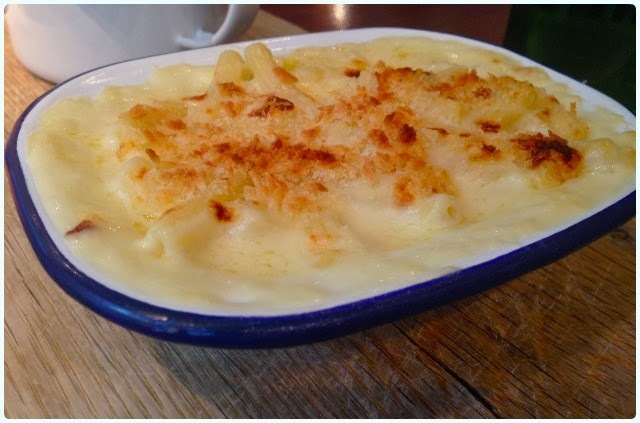 Mac n cheese: The quintessential side dish. I find this is a good barometer so order it pretty much anywhere that has it on the menu. Nothing to do with me being a proper porker. This had quite a mild cheesy taste, but a good breadcrumbed crust. Lemon and Yuzu Meringue Pie with toasted rosewater marshmallows and pistachio crumbs: These rose flavoured homemade marshmallows were to die for, as was the thick lemon and yuzu curd beneath them. I felt like pig of the week after eating this. The only weird thing about it was a lack of meringue...? I have to admit that Kitchenette was considerably better than I had predicted. In all fairness, they've only been open for two days, so I'm sure that some of the points I have raised will be ironed out over the coming weeks. The staff were great, and we left feeling utterly stuffed.